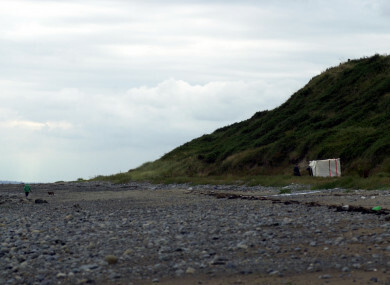 Shellinghill Beach (also known as Templetown Beach) in Co Louth, where Jean McConville's body was found in 2003. THE SON OF Jean McConville has said that her family are “upset and disgusted” to learn that a US company intends to make a TV mini series based on their mother’s murder. It comes after the production company Color Force, which is behind the American Crime Story series (‘The People v OJ Simpson’ and ‘The Assassination of Gianni Versace’), told The Hollywood Reporter that it intends to adapt the book ‘Say Nothing’ in a similar way. Widow Jean McConville was aged 38 when she was abducted, murdered and buried by the IRA in 1972. The remains of the mother of ten was not found until 2003, when a storm washed away a part of a beach embankment in Co Louth, and exposing her body. The IRA admitted to its involvement in the killing after the signing of the Good Friday Agreement. Jean McConville’s son Michael has said today that her family are upset by the idea that their mother’s murder may be turned into a mini TV series. He added: “To make money out of her murder and the pain that has been in our lives ever since is cruel and obscene. He said that he believes the early deaths of his two siblings were related to the grief and stress of losing their mother in the way they did, saying that it “ripped our family apart”. But I don’t suppose the people who just see a ‘blockbuster story’ will give that a second thought. The production company is looking for a writer to adapt the book ‘Say Nothing: A True Story of Murder and Memory in Northern Ireland’, by New Yorker writer Patrick Radden Keefe, which was published in the UK last year. We’re always on the lookout for a literary page-turner, and when we started Patrick’s book we couldn’t put it down. We’re very excited he’s partnering with us to tell this story. The book is described as offering “not just a forensic account of a brutal crime but a vivid portrait of the world in which it happened”. Michael McConville said that he doubts “they even think of us as real people”. We’re just characters in a story to be played with and forgotten about when they move onto the next moneymaker. Email “Family of Jean McConville 'upset and disgusted' at TV series of mother's murder”. Feedback on “Family of Jean McConville 'upset and disgusted' at TV series of mother's murder”.